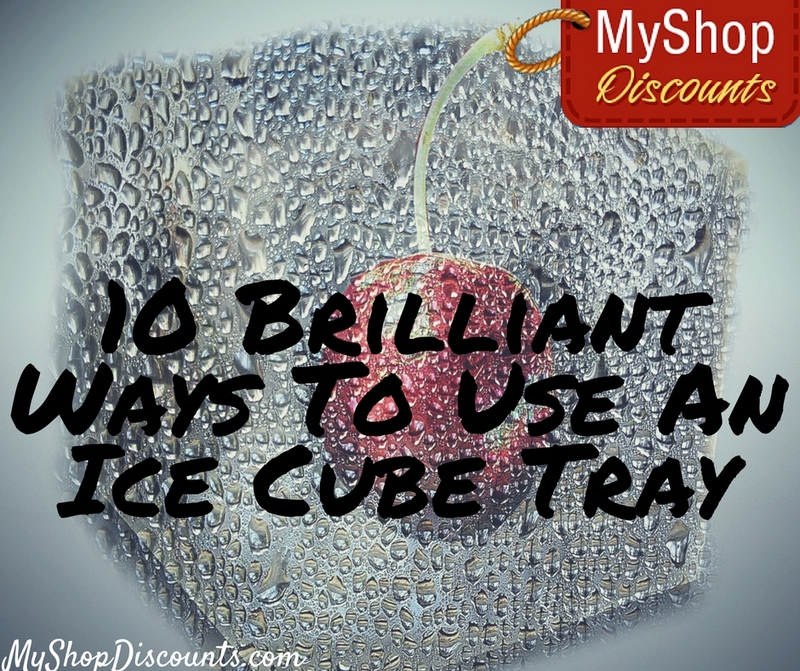 Ice cube trays are one of the most inexpensive things you can buy, and yet, there’s so much that they can do for you! Of course, ice cube trays are great for making ice, but they may also be the hardest working tool in your kitchen! Check out these brilliant ways you can use the humble ice cube tray. Coffee ice cubes. Never have a watered down iced coffee again! Freeze leftover coffee (or brew a pot just for freezing) in ice cube trays and use them to help chill your iced coffee. You can also do this with tea or juice. Tomato paste. Most recipes use less than a whole can of tomato paste, so what do you do with what’s left in the can? You freeze it in ice cube trays and you’re always ready with a pre-measured tablespoon of tomato paste the next time you need it. Baby food. Lots of us like to make our own baby food; it’s cheaper and you know exactly what’s in it. But it’s a lot of work to do every day! Make a batch of baby food and freeze in ice cube trays. Defrost a couple of cubes when you need them. Home-made pesto. Fresh pesto is delicious, but it’s a really big job you might not be up for every time you have a craving. Next time you make pesto, freeze some in the trays and you’ll have individual portions ready when the craving hits. Wine. If it should happen that you have wine you can’t finish, just freeze it. Pop out a cube or two to to add flavor to your cooking when you don’t feel like opening a whole bottle just for a few tablespoons. Use frozen wine cubes in sangria or to chill a glass of wine in the summer. Paint palette. Keep things neat when the kids are painting by using each compartment for a different color. Fruit ice cubes. Add lemon or lime wedges, or berries, when you make ice cubes to add flavor, color, and a special touch to an ordinary glass of water. Also takes your cocktails to another level! Cookie dough. I love this one! By freezing cookie dough in ice cube trays you can always have a freshly baked cookie. This is great way to practice portion control! Jello shots. Chill in ice cube trays and pop them out to serve. Yogurt. If your yogurt is near it’s use-by date before you can eat it, freezing it in ice cube trays to use in smoothies saves it from going in the garbage. Once these foods are frozen, pop them out and store in freezer ziploc bags to keep them fresh, have more room in the freezer, and use those trays to freeze the next best thing!